MacResource Computers is an award winning Apple Authorized Specialist, Campus Store, and Service Provider. Winner of both the Newman 10 and Aggie 100 for many years. The Bryan Rotary Club/Newman 10 Business Performance Awards,in cooperation with the Bryan-College Station Chamber of Commerce, was established in 1994 to spotlight successful small businesses for the significant contributions and economic impact they have on the Brazos Valley. The top 10 private companies, ranked on sales growth over a five-year period, earn recognition throughout the area for their sales growth and job creation. MacResource has earned six Newman 10 Business Performance Awards (in 1997, 2001, 2005, 2006, 2007, and 2008). We are proud to be recognized as an important partner in the growth of the Brazos Valley. 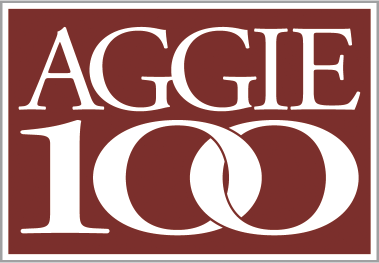 MacResource is honored to have been one of the top 100 fastest-growing Aggie-owned businesses in the world for 2005, 2006, 2007, 2008, 2009 and 2010. The owners, Buckey and Carolyn Turk, are both former students of Texas A&M University, and count current and former students among their employees. The Aggie 100 program, one-of-a-kind at the college level, was created by Mays Business Schools Center for New Ventures and Entrepreneurship, whose mission is to provide encouragement, education, networking and assistance to entrepreneurial students, faculty and Texas businesses.